Towpath Tennis Center - Visit Us! This fall, the Akron Beacon Journal has brought some interesting and disturbing information to the forefront. First, it has been reported that Ohio’s youth are growing more plumb. The Robert Wood Johnson Foundation says 18.6% of young people ages 10-17 are obese in the Buckeye State. That gives Ohio the sixth highest rate nationwide. 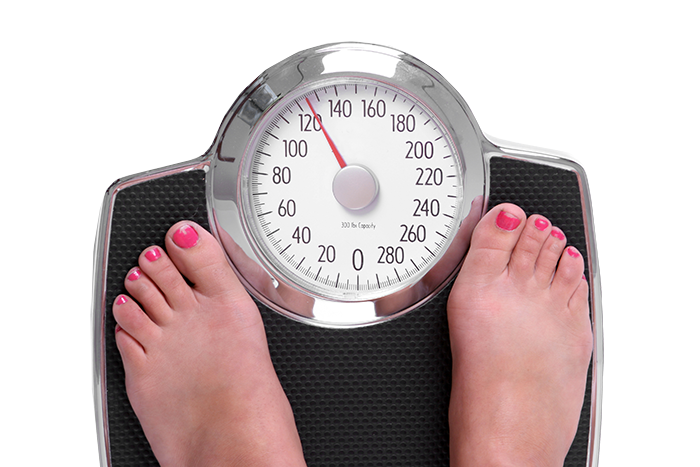 The report quotes, “childhood obesity continues to be a major public health challenge with significant financial and societal implications." Jamie Bussel of the foundation says, “far too many young people in this country are facing increased chances of diabetes, heart disease, and high blood pressure, all due to a preventable condition." Scientists predicted that more than half of today’s children will be obese by age 35 if current trends continue. Marnie Watson is a pediatrician at Akron Children’s Hospital and specializes in obesity medicine. 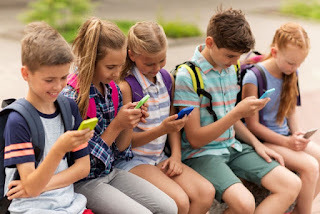 She quotes, “we spend more time using our screens and devices a lot more today than we have in the past." I couple this with an article in the Wall Street Journal about an online gaming company, Epic Games. In July 2017, they introduced a new game called Fortnite. As of this writing, the game has 125 million players and the company is doing a second round of financing and the company is now worth 15 billion dollars. It is an addictive game that draws kids as young as six years old into shooting zombies and people in a cartoon world. Not looking at even the merits of the game, I can’t imagine how many hours were spent by 125 million people playing the game. There must be a lot in Ohio if we are the 6th highest in obesity in the nation. How does this relate to tennis? What if some of those players were out on the tennis court learning a lifetime sport that would give them all the rewards of challenging oneself with skills that don’t come easy. They can use all parts of their body’s physical and mental capabilities to compete against others. They would be building up a healthy lifestyle of exercise and having to deal with real people on the other side of the net and not zombies. 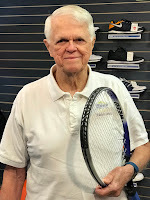 We at Towpath that have been teaching tennis for over 40 years are noticing more and more youngsters that have low levels of concentration, unwillingness to commit to learning something difficult, and an inability to overcome adversity with perseverance. There is also a fear of failure and unwillingness to try to compete unless there is a guaranteed reward. I am sending out a word of caution to parents that are caving into letting their kids be online too much. Tennis, and other sports for that matter, have rewards that no online presence can give to children. Yes it takes more of a commitment from a parent to take a youngster to tennis programs, practices, and competition both time-wise and financially, but we are seeing an epidemic of what the alternative is. Here at Towpath, we have another member, Don Secard, still playing tennis at age 91. What is the secret? Not only does Don live it, but he presented us with a new study done by the Mayo Clinic Proceedings from Sept. 4 of this year. Experts like to say the best form of exercise is whatever kind you’ll actually do. However, new research finds that people who combine exercise with their social lives may be at an advantage over solitary exercisers. The social interaction involved in partner and team sports may compound the plentiful benefits of physical activity, adding more years to your life than solo exercise. Tennis, badminton and soccer are all better for longevity than cycling, swimming, jogging or gym exercise. Tennis came out on top in the research. Compared with sedentary people, those who reported playing tennis as their main form of exercise could expect to add 9.7 years to their life span, followed by badminton (6.2 years), soccer (4.7 years), cycling (3.7 years), swimming (3.4 years), jogging (3.2 years), calisthenics (3.1 years) and health-club activities (1.5 years). Towpath Member, Don Secard, is living testimony of what having a regular “play date” can do for you. His tennis is physical, mental and social, and he enjoys his play dates at Towpath. As I write this, I wonder what our coming generation of seniors will be like. 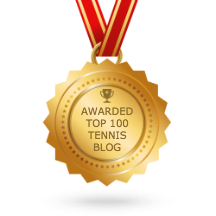 I do know this, tennis has its rewards and they are many, however, tennis is not easy. So parents consider experience, wisdom and what you are modeling and teaching your youngsters about life. The internet has made things easier in many ways, but has it made things better in a real meaningful way? Let’s tell the story to your family, children and friends. Tennis can help you get fit, have fun, and make friends, which all add up to something that you cannot put a price tag on. But if you do it, you will have lifelong rewards in every one of the categories of fitness, fun and friends. What more could you want from an activity or sport? Congratulations Don on your milestone and letting us know the secret. You are addicted to something that is real with people on the other side of the net and not zombies. Email us here! We'll answer your question in the next blog. Towpath Tennis. Powered by Blogger.